Thousands of people have taken to the streets of the Haitian capital Port-au-Prince in the third straight day of protests against the government of President Jovenel Moise. They are demanding that the President step down, accusing him of failing to tackle corruption, a weakening economy, falling currency and soaring inflation. 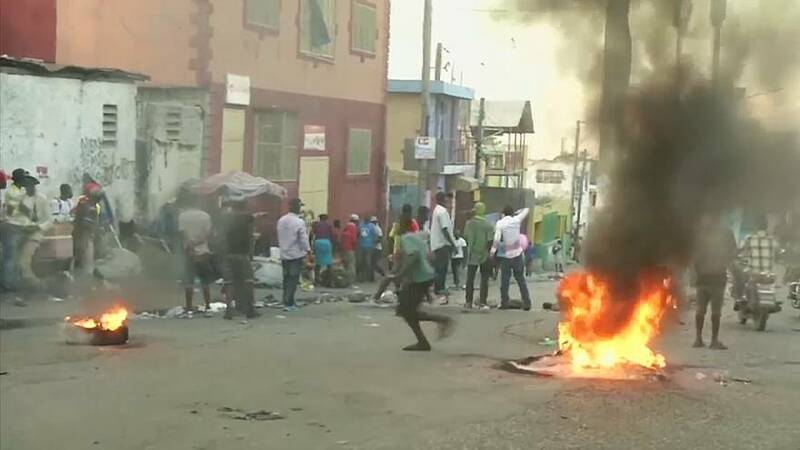 Protesters in the Petionville neighbourhood blocked the road to Mr Moise's house and stoned his property. Protests were also reported in other cities - and some pre-Carnival street parties have been cancelled. At least two people have been killed and 14 police officers injured. Adding to the already high tensions in the capital, at least four people were killed and nine injured in a traffic accident involving an armoured vehicle belonging to the United Nations stabilisation mission. Moise has called for talks with the opposition but his appeal has so far been ignored.